(8 a.m. EST) -- When Carnival Victory reenters service as Carnival Radiance after a $200 million makeover in 2020, the ship will debut a new restaurant run by the line's Chief Fun Officer, NBA Hall of Famer Shaquille "Shaq" O'Neal. Big Chicken will be the first at-sea version of Shaq's Vegas-based establishment, and will be available to passengers free of charge. Located on the Lido Deck, at the back of the ship, Big Chicken will be open for breakfast, lunch and early dinner. 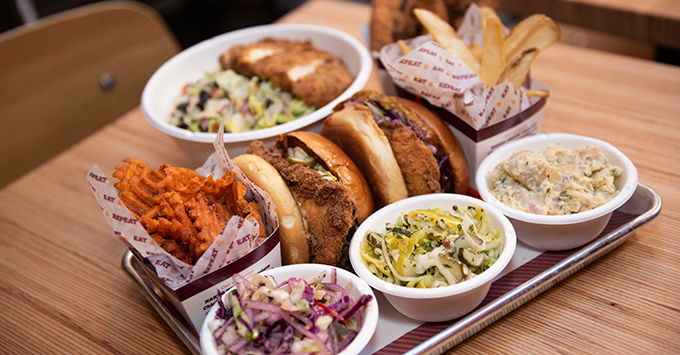 The menu will include a variety of fried chicken dishes such as sandwiches with fries and traditional sides, with breakfast items like chicken and egg biscuits, all based on Shaq's own recipes. Passengers will be able to place orders at a counter and pick up their food right away, akin to the way they do on Carnival staples like Guy's Burger Joint and BlueIguana Cantina. Added Shaq: "As Chief Fun Officer, I want to bring even more fun to every aspect of a Carnival cruise, including what guests eat. Big Chicken has been a dream of mine and now that our land-based restaurant is open, it's only natural to bring it to sea, as well. I'm really excited that Carnival Radiance guests will be able to enjoy my own delicious creations alongside all the other great food offerings on board." Big Chicken joins a long list of dining options already in store for Carnival Radiance, including Guy Fieri's Pig & Anchor Bar-B-Que Smokehouse, Cucina del Capitano, Bonsai Sushi and Fahrenheit 555 Steakhouse. It does not replace any of the previously revealed venues. The ship's transformation will take place from March 18 to April 26, 2020, in Cadiz, Spain. Other changes will include enhancements across all accommodation categories, and the addition of new beverage and entertainment attractions, a ropes course and a waterpark. Itineraries will be revealed in the near future.